The much awaited Harrier SUV has been launched by Tata today in Mumbai. The SUV starts at Rs. 12.69 lakhs for the base XE variant while the top of the line XZ variant has been priced at Rs. 16.25 lakhs. This marks the start of an eventful year for Tata, which will further see the launch of the 45X hatchback and H7X SUV in the coming months. 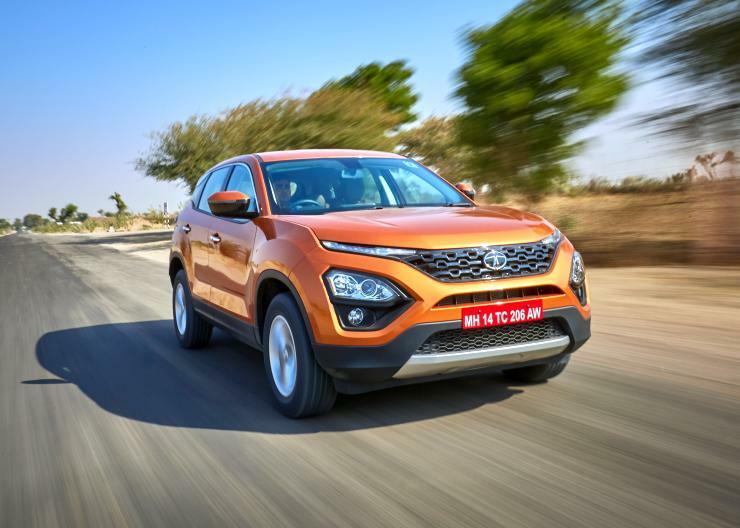 The Tata Harrier takes on the likes of the Mahindra XUV500 and the Jeep Compass along with the upcoming MG Hector SUV. The Harrier is available in four different variants – XE, XM, XT and XZ. The XE variant offers dual airbags, ABS, parking sensors, central locking, projector headlamps, LED DRLs and LED tail lamps, 16 inch steel wheels, powered wing mirrors, 4 inch MID, power windows, rear AC vents and steering adjustable for tilt and reach. The XM variant adds front fog lamps, rear parcel shelf, 7 inch touchscreen infotainment system, steering-mounted audio controls, multi drive modes, remote locking, 6 way adjustable driver’s seat, follow me home headlamps and a wash wipe function for the rear windscreen. The XT variant adds 17 inch alloy wheels, android auto, apple carplay, rear defogger, reverse camera, push button start, keyless entry, automatic climate control, 8 way adjustable driver’s seat, power folding function for the wing mirrors, cruise control, cooled glove box and rear armrest. The top-of-the-line XZ variant adds HID projector headlamps, cornering fog lamps, leather seats and interiors trims, 8.8 inch touchscreen infotainment unit, sub-woofer, 9 speaker JBL audio, 4 additional airbags, hill hold, hill descent control, electronic stability control, and 60:40 split rear seat. The SUV is built upon a newly developed OMEGA platform, derived from Land Rover’s D8 that also underpins the Discovery Sport. 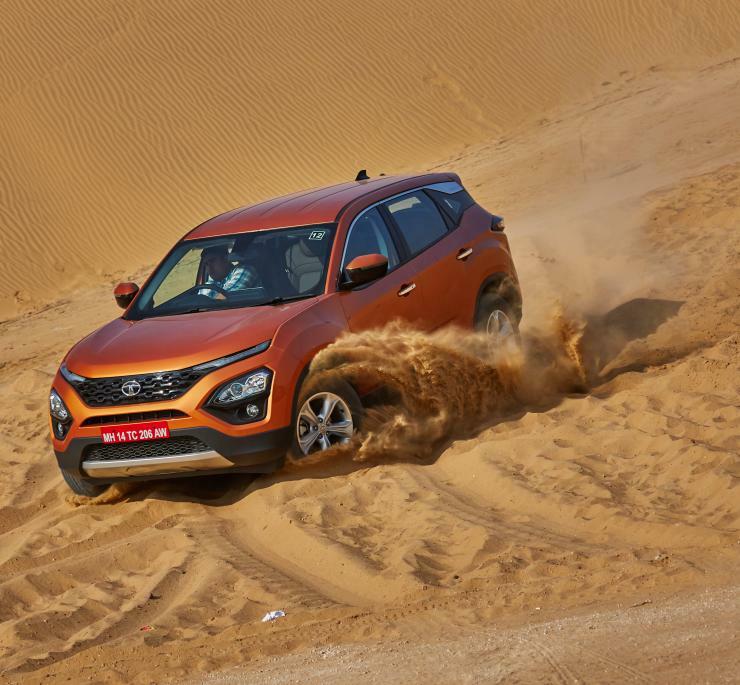 The Harrier is the biggest SUV in the segment currently. Talking of the design and exteriors, the Harrier is quite a handsome SUV. It is based on the H5X concept shown by the company at the 2018 Delhi Auto Expo. The design transition from concept to production model is not much and the SUV retains most of the styling from the concept. Combined with its large size, the Harrier is quite imposing to look at and a definite head turner. The Harrier also misses out on the 4WD system but Tata has developed a new Terrain Response System for the Harrier and it works quite well. The FWD SUV gets various modes and a 14 function ESP to boot. The front wheels are controlled and power is given to the wheel which remains in contact with the ground. While the Harrier may not be as capable as a 4×4 or a 4WD SUV but it still does a lot better than the usual 2WD SUVs in market. The Tata Harrier is powered by a 2.0 KRYOTEC engine that develops of 140 Bhp of power and 350 Nm of peak torque. It is essentially a Fiat sourced 2.0 litre Multijet engine that is also found under the Jeep Compass. However, it has been tuned for fuel efficiency by Tata and has a different torque curve from the Fiat unit. The engine is mated to a 6-speed manual transmission and the power goes to the front wheels. For now, Tata has decided to not offer an automatic transmission but it is expected to be launched with an automatic version at a later time. The engine gets different modes that modulate the power output to save fuel and be efficient. 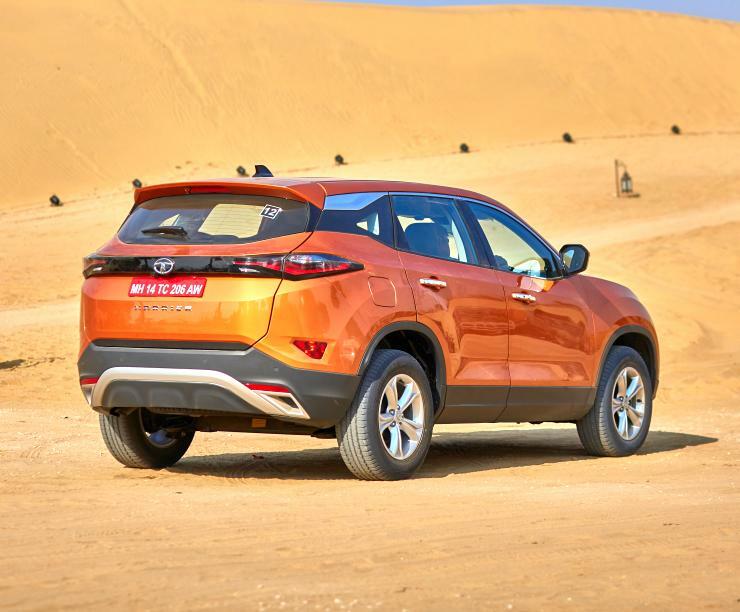 Tata Harrier will be available in 5 different paint shades. The five colour option consist of Calisto Copper, Thermisto Gold, Ariel Silver, Telesto Grey and Orcus White. The Tata Harrier is among the new wave of Tata vehicles that are being made using international expertise. The Harrier looks like a step in the right direction and the only thing to be seen now is how much response will the SUV get in real world market.